Herbal remedies can be used to treat a variety of ailments, from the physical to the emotional, to the psychological. Over the centuries, mankind has passed this knowledge down through the generations, and with the help of modern-day science, many herbs and their possible effects have been researched. 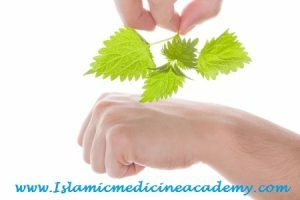 This invaluable knowledge enables us to use the right herbal remedies, whether individually or in a combination, to treat multiple diseases. Amongst the scientific and pharmaceutical communities, many plants, such as Garcinia Cambogia shrubs and green tea, are used to develop effective drugs and medicines. Recently, the Dutch Food Authority (NVWA) has developed a smear campaign in an attempt to stop the use of herbs and their medicinal properties. This campaign is often accompanied by frightening claims of dangerous risks and lack of efficiency. According to the NVWA, the biggest problem with herbal remedies is a lack of evidence to support their effectiveness, despite there being numerous studies which shed light on their positive effects. Herbs, like any other medicinal option, come with side-effects, however, there is a strong argument to suggest that herbs are a lot safer than mainstream, chemical medicines. Here are just a few herbal remedies that will prove effective when treating many common ailments. Garlic contains a special liquid which improves the blood flow within your body. This helps your heart to regain a healthy beat, resulting in healthier cardiovascular performance. Green tea possesses many beneficial properties, namely its ability to lower cholesterol levels. Green tea is a good emulsifier that will help your body break down cholesterol into more manageable pieces. Alfalfa is another herb that helps to lower cholesterol levels and lower high blood pressure. Ginkgo Biloba is found primarily in China and is a popular herb used to support memory. Research has shown that it can improve the early stages of dementia and Alzheimer’s disease. Asian Ginseng speeds up the effectiveness of medicines, and is also used for a variety of memory disorders. Rosemary is another herb that can improve memory by lowering cortisol levels, keeping the brain relaxed. Fenugreek is one of the most popular herbs used to aid digestive problems. Ginger is a fantastic solution for many stomach issues, including nausea and diarrhoea. Ginger is also used to treat painful joints and muscles. Aloe Vera is an army with only one ingredient. It can help to combat a vast amount of ailments such as, such as arthritis, epilepsy, diabetes and asthma, including many immunity problems. Panax Ginseng, also known as Korean Red Ginseng, is an approved herb that helps reduce menstrual problems and sexual disorders, such as erectile dysfunction. If you can’t access these herbs in their fresh, natural forms, a herbal supplement is always a great option. The natural world contains many solutions to heal virtually every physical or psychological human disease, however, herbal remedies must be approached with caution, just like any other medicinal treatment. There are some precautions you can take to avoid negative side-effects, therefore, it is best to take the advice of your doctor before taking any supplements.